Ville Abidjan Ville Abidjan Zoom in image "Ville Abidjan"
The Québec Government Office in Abidjan assures a permanent government presence with Côte d’Ivoire leaders and works to develop long-term relations with the country. It promotes Québec’s expertise in priority sectors for Côte d’Ivoire, especially in education, professional and technical training, the environment, agriculture, infrastructure, institution building and state modernization. The Québec Government Office in Abidjan fosters the success of Québec companies and organizations wishing to position themselves in Côte d’Ivoire and English-speaking countries in West Africa. Côte d’Ivoire, Liberia, Sierra Leone, Ghana and Nigeria. Promote Quebec’s expertise in priority sectors for the territory, particularly in education, technical and professional training, food safety, sustainable development, agriculture, infrastructure, institution building and state modernization. Present and promote all aspects of Québec to its clienteles in the territory by disseminating information and providing advice. Coordinate public affairs and educational activities. Support Québec international cooperation organizations working in international solidarity. Support companies in their search for markets or partnerships in collaboration with the Ministère de l’Économie, de la Science et de l’Innovation. Promote Québec as an economic and trading partner. Support trade missions from Québec. 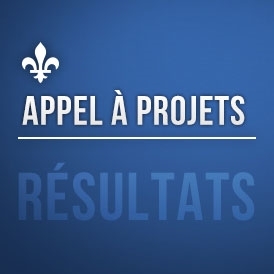 Support Québec’s investment prospecting efforts. Maintain an economic and strategic watch. Develop ties with economic institutions and operators. Younes Mihoubi was appointed Director of the Québec Government Office in Dakar on April 19, 2016, and assumed his responsibilities in summer 2016. Mr. Mihoubi had been the Assistant Deputy Minister for Administration and Transformation at the Ministère de l’Immigration, de la Diversité et de l’Inclusion since 2013. Over the course of his thirty-year career, he has held several executive positions in the public service and directed the Québec Immigration Office in Hong Kong from 2012 to 2013. Mr. Mihoubi holds a Master’s Degree in economics from the Université de Reims Champagne-Ardenne, in France. He has extensive knowledge of international economic issues and is a Certified Corporate Director (ASC). He has been a member of the Board of Directors and Audit Committee of the École nationale de l’administration publique since 2015. In light of his professional expertise and leadership skills, he has all the qualities needed to head our new office in Dakar.